Everest Base Camp Family Trek is an epitome of all trekking activities of the world. Bharal Adventure highly believes in providing amazing walking holiday package. Which leads reaching to the foothill of world’s tallest mountain Mt. Everest (8848 m). The best trekking route of Nepal offers quintessential mountain vistas. Also authentic culture and traditions of Sherpa people known as expert mountain climbers over the world. The pride of Nepal is the presence of three different forests belts, water resources, and 3 geographical belts. Hence, this makes Nepal trekking as the best destination. So, Everest Base Camp Family Trek is the moderate yet daunting task to complete. Some light exercises and walking practices help you for the easy trek start of our Lukla walk. When we land at the world’s most extreme airport the Tenzing-Hillary Airport. We will follow the trail along the Dudhkoshi River trekkers trek past Phakding on the way to Namche Bazaar. In addition, we can observe the gorgeous view of Kwangde and Thamserku From Namche Bazar. This acts as first Himalayan delight. We will reach the Everest View Hotel during the rest day. We can observe panoramic mountain vistas of Amadablam, Thamserku, Lhotse, etc, can from the balcony of this hotel. The next day’s trekking is up to Tengboche. The monastery of Tengboche holds special prayers during this festival. The journey starts to encounter less vegetation as trekkers Trek to Dingboche. We will take acclimatization break again at this windy valley nestled at the foothill of Mt. Amadablam. We will have Hiking of Nagarshan Hill (5100 m). Before heading to Everest Base Camp. View of Mt. 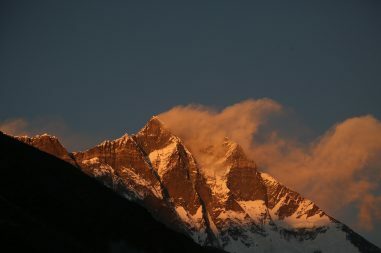 Lobuche and Mt. Pumori will add gloss to your trekking. After trekking past the tranquil hamlet of Lobuche trekkers reach Gorakshep. Book the best trekking in Nepal package with Bharal Adventure. In conclusion, This Trek is the prodigious wilderness adventure filled outdoor activity to do once in a lifetime. Our experienced trekking guides will endow best moments while on high altitude trekking holiday. Therefore, Explore Khumbu to the fullest booking today and get acquainted with Sherpa Culture. When is the best time for Everest Base Camp Family Trek? There are two trekking seasons for Everest base camp Family Trek. In Spring from February to late May is suitable. In Autumn from September to the end of November is suitable. The summer months are very wet with the monsoon and winter is extremely cold. For a more explanation about the weather in the Everest region and other factors. 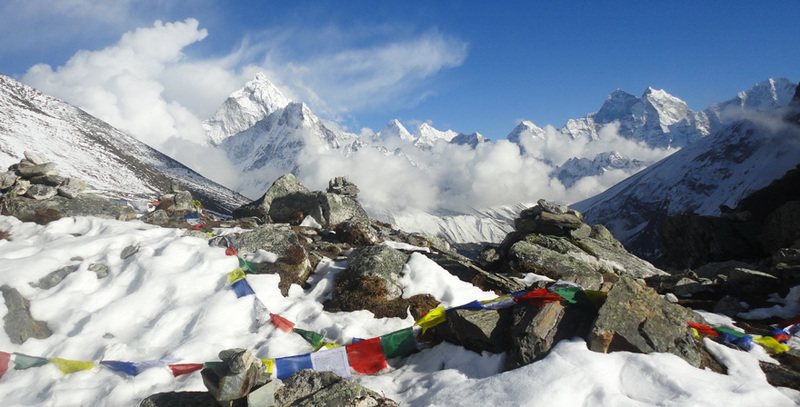 Check out the Best time to hike in the Everest region. Day 06: Trek to Thyangboche 3,867 m – 05hrs. Day 10: Trek to Everest Base Camp 5364 m and return to Gorakshep 5,180 m – 06 hrs. Day 11: Hike to Kalapathar 5,545 m trek to Pheriche 4,240m – 05 hrs. Day 12: Trek to Thyangboche – 05 hrs. Day 13: Trek to Monjo 2,860m – 06 hrs. Day 14: Trek to Lukla – 04 hrs. Day 16: In Kathmandu free day with the sightseeing tour. The best time to trek to the Long Everest Base Camp is Spring (March to May) and Autumn (September to November). The temperature is moderate in these seasons and guarantees amazing views through the trip. Although this trek can be undertaken during winter, the cold temperature might not be suitable for everyone. On arrival at Kathmandu Tribhuvan International Airport, where our staff and guide will receive you with warm welcome, and then a short drive in the heart of Kathmandu city to reach your hotels, with time to get refresh and then our guide will brief you with detail information regarding Everest base camp trek, hotels, lodge on Route trekking with do’s and don’ts includes evening welcome dinner in an authentic Nepalese restaurant with cultural and folk programs. In Kathmandu morning sightseeing tour after breakfast , where our city guide will take you to interesting and exciting places, as Kathmandu steeped with historical and world heritage sites visiting Old Durbar (palace) Square, and ancient stupa of Swayambhunath, after a tour head back to hotel with preparation for Everest Base Camp Trekking next early morning. After a nice morning, walk continues crossing bridges over Dudh Kosi River passing several interesting villages of Toc-Toc, Benkar and Monjo arriving at Sagarmatha National Park entrance gate, from here on the river bed for few hours and after the last bridge a steep uphill to Namche Bazaar, at Namche with facilities of good restaurant, pubs, cyber café, post office, and banks. A perfect place for the rest day for proper acclimatization before heading higher area, morning a short hike to Everest View Hotel or walk up on top a hill of Namche for views of Everest, Amadablam, and adjoining peaks, visit the museum with wide information of the Khumbu areas. From Namche on the gradual scenic path with downhill to Imjatse river at Phunghe-Tenga for lunch, and then uphill through rhododendron, pines, firs tree forest with views of snowcapped peaks. On reaching Thyangboche visit famous Buddhist monastery with the magnificent panorama of Mt. Everest, Nuptse, Lhotse, Kangtenga, Thamserku, Kwande and majestic Amadablam. The afternoon with time for the tour of the monastery, which was burnt by accidental fire in 1991 at present back into normal form, where you witness young monks and elderly priest and Lama on evening prayer. Morning downhill walk for few hours over Imjatse River, after the bridge walk on an open country where tree lines fade for few short juniper and dwarf rhododendron bushes, uphill for a while to reach at Pangboche village at 3,900 meters. Last permanent village before Dingboche and beyond, from here a slow climb to Somare for lunch and continue walking with the climb to Dingboche village for an overnight stop, located in Imjatse valley with the panorama of mountains. Another rest day for proper acclimatization, a short hike to Nakarjung hills for best views of Mt. Makalu and other adjoining. For energetic people can walk up to Chukung at 4,760 m high a small and last settlement within Imjatse valley offers incredible views of Island Peak, Lhotse Shar, Lhotse, Nuptse, and Ama Dablam. After a great rest of Dingboche morning walk with steep climb for an hour commanding excellent views, and then on gentle trail to Thugla for lunch where Khumbu glacier melts into a raging river, here trail from Pheriche joins after a break a steep climb for an hour to Thulga pass, with stone memorials of unfortunate climbers who died climbing Mt. Everest, Lhotse and other high mountains. From here a nice pleasant walk brings to Lobuche for an overnight stop. Today reach the highlight of this adventure at Everest Base Camp, walk for few hours with the short steep climb in between over glacier and moraine, reaching Gorakshep, beneath Mt. Pumori and Kalapathar. 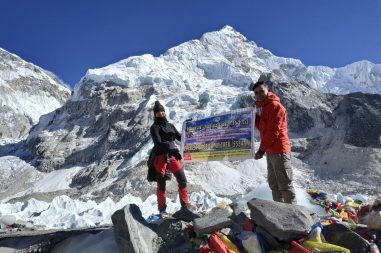 The walk continues towards Everest Base Camp, at base camp enjoy the view of notorious Khumbu Ice Fall and glaciers, after a grand time with the experience of a lifetime adventure at base camp retrace the journey back to Goarkshep for the overnight halt. The return journey is much easier losing heights every hour, walking downhill with few short ups to Pangboche and then to the bridge with two 2 hours climb to Thyangboche for an overnight stop. After a great time descend to Imjatse River, with a steep climb for an hour to Sanasa, from here on the gradual path with short ups and downs to Namche Bazaar, a break here and then walk back to Dudh Kosi river valley and to Monjo for an overnight stop. 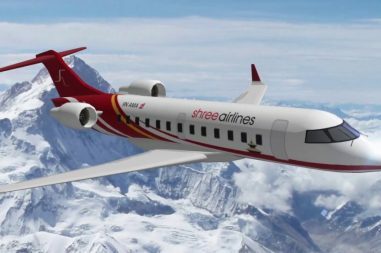 We reserve an extra day in Kathmandu as a contingency, in the case of flight delay and cancellation due to unfavorable bad weather conditions which might occur sometimes, as the Himalayan weather can be unpredictable. If all goes well as per the itinerary one can use this day to relax or go for the shopping spree, and can join in for optional another sightseeing tour of Kathmandu-Patan and Bhaktapur. Last day in Nepal, the country full of excitement and Himalayan wonders, after an overwhelming experience with memorable time on Everest Base Camp trekking, our staff transfer you to the airport as per your time for the international flight for your final departure towards homeward bound. Please use this checklist as a guideline for getting information on the required equipment to carry on a trekking. Adjustments could be made to the list according to your needs, interest and duration and season of the trip among other factors. The variety of these gears could be hired or bought in Kathmandu. Since the majority of these gears found for sale in Kathmandu are locally manufactured, they are a lot cheaper. Also, some gears are imported from China which is of better quality. If you have enough money, you can buy very high-quality branded gears too, in some of the famous stores in Nepal. It is advised that you keep your luggage as light as possible. You extra luggage could be left back in your hotel in Kathmandu which you can claim back at your return. We normally provide one porter for two trekkers to carry the luggage and the limitation of the weight is approximately 25 kg from two people.